UBC Universities Allied for Essential Medicines (UBC-UAEM) is a student led organization dedicated to increasing the global health impact of biomedical research at UBC, and improving global access to public health goods. On October 4th, UAEM held their annual Introductory Seminar, an educational event open to all university students. 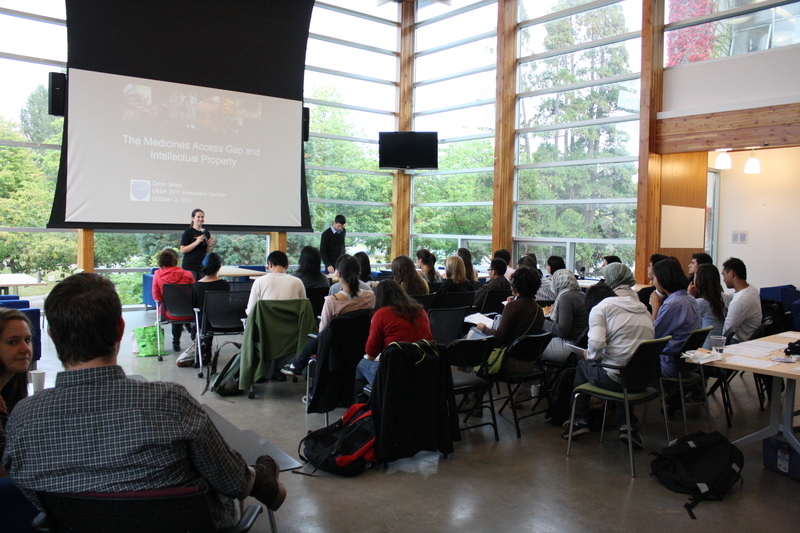 The seminar aimed to introduce students into the basics of access to medicines issues, and to discuss the projects UBC-UAEM is hoping to tackle in the new year. There was an excellent turnout of new, excited students hoping to get involved. The evening included informative talks from UAEM members and insightful question and answer sessions with new students. Speakers included Calyn Shaw a student from SFU who spoke about the medicines access gap and intellectual property, Andreas Pilarinos, discussing neglected global diseases, and Sonja Babovic, current co-chair of UBC-UAEM who talked about the history of UAEM and ways to get involved in the organization. The evening was a great success, and kicked off what is sure to be a productive year for UBC-UAEM. If you are interested in becoming involved with UBC-UAEM, please feel free to contact us at kimberlygirling@gmail.com. 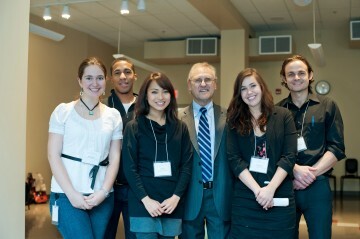 Present and former UAEM members attend the NGDI Stephen Lewis seminar and reception.